Iceland announces U.N. men only gender equality conference. 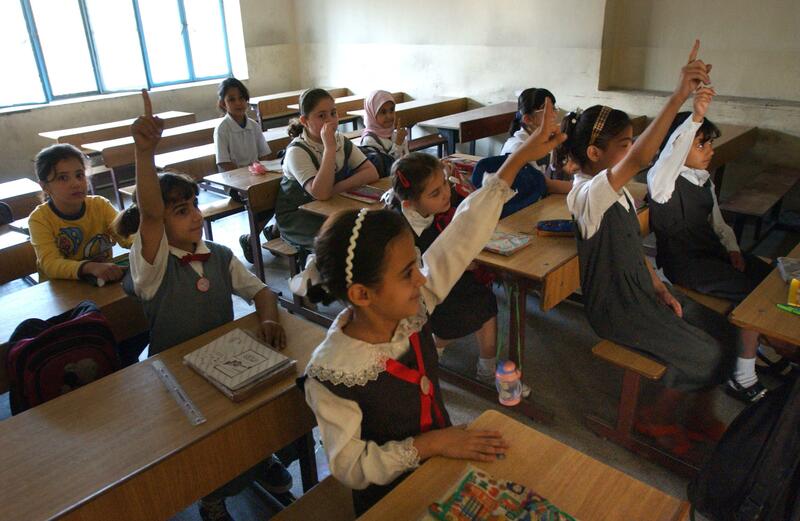 Girls raise their hands to answer a teacher’s question in an Iraqi classroom. Iceland announced on Monday an unusual plan to tackle the problematic state of gender equality in the world, particularly violence against women. The plan, as explained by the country’s foreign minister, Gunnar Bragi Sveinsson, to the U.N. General Assembly is to hold a conference on the issue in January. The twist: Only men and boys are invited to participate. [W]e want to bring men and boys to the table on gender equality in a positive way. Iceland and Suriname will convene a “Barbershop” conference in January 2015 where men will discuss gender equality with other men, with a special focus on addressing violence against women. This will be a unique conference as it will be the first time at the United Nations that we bring together only men leaders to discuss gender equality. “The unusual conference is part of a global campaign launched this month to get 100,000 men and boys involved in the fight for gender equality, which the United Nations had hoped would be achieved by 2015,” the Associated Press reports. Iceland and Suriname fall at different ends of the spectrum when it comes to women’s rights. “The Global Gender Gap Report 2013 compiled by the World Economic Forum ranked Iceland top in gender equality in economic, health and other matters. Suriname, the tiny South American country, was ranked 110th,” according to the AP.